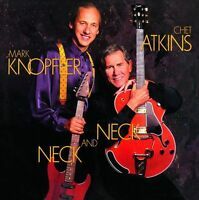 CHET ATKINS! -"PROGRESSIVE PICKIN'" RCA VICTOR LSP-2908 STEREO LP VG+ VPI CLEAN! wwwguitarrecords has no other items for sale. Chet Atkins Lover's Guitar LP RCA stereo + crisp inner rockabilly EX!!! CHET ATKINS Vinyl Lp DOWN HOME Original 1962 RCA Living Stereo Stunning! Sleeve Grading: Near Mint (NM or M-) Record Size: 12"
SEE OUR EBAY STORE FOR OVER 500 MORE GUITAR MUSIC ITEMS - THEN COMBINE PURCHASES FOR A SUBSTANTIAL SHIPPING DISCOUNT. OVERSEAS BUYERS CAN ALSO REQUEST CD SHIPPING WITHOUT JEWEL CASES FOR FURTHER SAVINGS.